This is a response and critical engagement with Tom Wrights influential portrayal of the gospel and the theology of justification by faith. Piper challenges Wrights work by comparing his work to the text of the Apostle Pauls letters, and in doing, reminds us again of how the glorious mercy of God was revealed to us in Jesus Christ. This is essential reading for pastors and theological students, and is a great development in the in the way we understand what Paul really said. 5. Justification and the Gospel: When Is the Lordship of Jesus Good News? 6. Justification and the Gospel: Does Justification Determine Our Standing with God? 7. The Place of Our Works in Justification. 8. Does Wright Say with Different Words What the Reformed Tradition Means by Imputed Righteousness? 9. Pauls Structure Continuity with Second-Temple Judaism? Appendix 5: Does the Doctrine of the Imputation of Christs Righteousness Imply That the Cross Is Insufficient for Our Right Standing with God? John Piper is Pastor for Preaching and Vision at Bethlehem Baptist Church in Minneapolis, Minnesota, and a New Testament Scholar. The Future Of Justification by John Piper was published by Intervarsity Press in January 2008 and is our 17827th best seller. The ISBN for The Future Of Justification is 9781844742509. Critically reading The Future of Justification was a difficult pleasure. I am somewhat humbled by other reviewers? gauging of this book?s difficulty. While it certainly isn?t at the level of difficulty of John Owen, nor of some other theological-philosophical obscurantist pedants who shall likewise remain nameless, I would not rate it quite so low as 3 out of 5 for difficulty ? more like 4 out of 5, at least for this reviewer. Its intricacy arises from its two main objectives: 1) to examine and assess the New Perspective teachings of N.T. Wright, Anglican bishop of Durham; and 2) to celebrate and reinforce the traditional reformation teachings on the doctrine of justification by faith alone. In view of the specialty nature of this book, it would not be helpful to list the chapter headings, which are wordy and technical. But even before he embarks upon the substance of his debate against N.T. Wright?s positions on justification, righteousness, and legalism, Piper?s opening remarks go a long way toward preemptively smoothing the waters and de-ruffling feathers. He begins by enumerating for the public record his appreciation of Wright?s orthodox positions on many fundamentals, such as the virgin birth, homosexuality, biblical inerrancy, the resurrection and the deity of Christ, and penal substitutionary atonement (the latter is especially relevant to the maelstrom over penal substitutionary atonement in Britain at the moment). Piper rounds out his introductory remarks by invoking J. Gresham Machen?s perspective on controversy. Readers may be familiar with this material, as it was lifted directly from Contending For Our All, Piper?s latest installation in the Swans Are Not Silent biographical series. But Piper does not spend time approbating Wright. While avoiding ad hominem attacks on Bishop Wright, he often exclaims incredulity at many of Wright?s conclusions. Piper?s sense is that although Wright does not fall under the curse of Galatians 1:8-9, he is nevertheless seriously misguided in his interpretations and misleading in his conclusions. Much more helpful than the chapter headings for following the flow of Piper?s argument is the series of questions he poses in the introduction, followed by the chapters in which they are addressed: * The gospel is not about how to get saved? (Ch. 5) * Justification is not how you become a Christian? (Ch. 6) * Justification is not the Gospel? (Ch. 6) * We are not justified by believing in justification? (Ch. 5) * The imputation of God?s own righteousness makes no sense at all? (Ch. 8 ) * Future justification is on the basis of the complete life lived? (Ch. 7) * First-century Judaism had nothing of the alleged self-righteous and boastful legalism? (Ch.. 9-10) * God?s righteousness is the same as His covenant faithfulness? (Ch. 11) The first chapter constitutes an extended word of caution to all readers, whether laypeople or students of theology. Echoing the chapter?s title, Piper warns that ?not all biblical-theological methods and categories are illuminating.? He especially rattles his saber at novel theological approaches lacking grounding in historical theology, although he is careful to say that all historical theology must subject itself to the authority of scripture. Chapter 2 launches Piper?s sustained critique of Wright?s understanding of covenant, righteousness and the ordo salutis (the order of salvation, a reformed concept based primarily on Romans 8:30). On the surface Wright may sound like a solid reformer based on his emphasis on covenant, but Piper carefully deconstructs Wright?s awkward equivalence of `righteousness? with `covenant faithfulness?, exposing its fatal flaws. What I appreciate most about Piper?s book most how biblically based it is. When Wright declares ?What I?m saying is in the Bible,? Piper both graciously and devastatingly meets him in theological disputation on Wright?s own terms ? biblical exegesis. While Piper does briefly appeal to theological work accomplished by others, including the founding Anglican theologians who wrote the Thirty-Nine Articles, Luther?s colleague Philipp Melanchthon, the framers of the Helvetic confessions, the Westminster divines, and Westminster?s Richard Gaffin (not to mention CREC pastor Douglas Wilson and Piper?s own theological assistants at Desiring God), Piper establishes his arguments primarily on extensive scriptural exegesis rather than standing on the shoulders of a tradition that Wright routinely criticizes. Wright apparently champions the concept of covenant so enthusiastically because he perceives theological and commonsensical problems with the forensic understanding of God?s imputation of Christ?s righteousness to believers. While Wright does not object to penal substitutionary atonement itself, he balks against the idea of grace `streaming? through a metaphysical conduit from righteous judge to unrighteous convict, thereby clothing the convict in the judge?s righteousness. He claims that the mental image of such law-court dynamics is simply nonsense. Wright asserts the Church has misunderstood justification for at least the past fifteen years ? he takes special aim at Augustine for initiating this misapprehension ? and counts himself a modern-day Luther figure, at least in terms of method. In what will be a constant theme throughout the book, Piper faults Wright for a shallow, narrow and incomplete definition of righteousness, wherein Wright makes a category mistake by defining righteousness by way of an arbitrary set of denotations, not its intrinsic connotations. Piper also takes Wright to task for what seems a chronologically messy understanding of the process (or rather, event) of justification. Instead of taking justification to be the God-effected event that simultaneously regenerates a believer and effectually declares him (imputes him) righteous based on the perfect righteousness of Christ, Wright construes justification to be both a present/future occurrence for believers which comes to fullness only at the judgment seat following the second coming. Thus, works do contribute to our final `justification.? This of course is not a new strain of teaching. Arguably Wright?s most enigmatic idea is the distinction he draws between first-century Jewish ethnocentrism and our current understanding of legalism. In his mind the two are poles apart, whereas Piper presents the convincing argument, by virtue of scripture and logic, that ethnocentrism is merely a subset ? one of many manifestations ? of legalism as practiced both intentionally and unintentionally by Jews and Christians of all stripes throughout redemption history. ?The heart is deceitful above all things, and desperately sick; who can understand it?? (Jeremiah 17:9) This book is not a must-read for a substantial cross-section of the Church at large. Piper himself recommends against the regular churchgoer attempting it. He even advises pastors against investing in the book if they haven?t yet come up against the New Perspective in their churches. One of Wright?s most admirable ambitions is ?to help us see more clearly the historical sweep and global scope of God?s purposes in the gospel.? 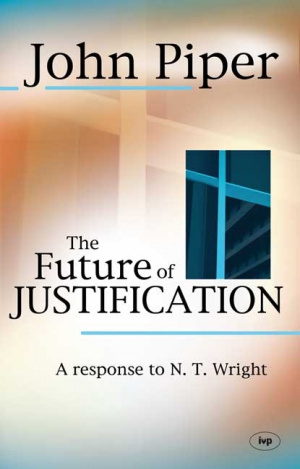 This is a worthy goal, but Wright has gone about it in an artificial and contrived way which ultimately disregards accuracy on the subject of justification, and in turn generates dire pastoral implications. Piper provides no less than six appendices which exposit key verses concerning justification. Pastors should find a wealth of information therein. Who then should read this book? Optimistically, Wright aficionados will be inspired to take a critical look at his teachings from the perspective of a respected pastor-theologian, and will sincerely engage with this book?s careful critique. I have a sneaking suspicion that relatively few Wright devotees have done careful exegetical work to establish whether Wright is sound of not, but I could be wrong. Thankfully, Piper has done the work for those who have not done it. Friends of Wright?s followers should also be encouraged to pass on copies of Piper?s book to their Wright-influenced friends. At only $12 or so, personal book allowances should bear the cost of at least a couple of copies. I can think of few Christian figures who have proven such a boon to Evangelical thought and practice as John Piper has in the past twenty-five plus years. The Future of Justification is yet another gift from his hand, and while it will take considerable mining to get at its mother lode, the effort will be worth it. Dr Piper originally wrote this text as a foil to some of Wright’s writings, and of his own admission, he fleshed it out to nearly double its original size having received a 10,000 word submission from Wright himself. John Piper readily admits that for those of his readers who are not aware of the debate, this book is likely to be challenging reading and he even recommends not getting involved and despite Wright’s private submission to Piper, this is one side of the story – albeit a very good one. This book is a tour du force on a weighty doctrinal issue. It is full of Piper’s natural grace and charm, but also backed up with his forthright standpoint of tradition reformed theology. It is a technical read that is dense with extensive quotes from Wright’s extensive published texts as well as copious biblical texts by way of illustration and explanation of Piper’s standpoint. This is far from an easy read but it certainly gets to the heart of an issue from one viewpoint. That Piper should produce, and have published, such a thesis on another respected theologian’s work is an indication of how much he believes Wright’s stance to be a direct and significant challenge to his doctrine’s viewpoint. Piper has produced some brilliant works, and this is not up to his normal standard of clarity – but nonetheless it is a good read for those who want to get to grips with this weighty subject. I hope that SPCK will encourage Dr Wright to find the time to respond in a similar fashion and then there will be two texts on which to judge the value of two worthy, but competing doctrines. I enjoy both Piper’s and Wright’s works and I hold both to be great men of God – it is sad that there are such differences of opinion but it makes good reading for serious students. Despite the debate, Piper’s work is suffused with grace and courtesy towards Wright and if nothing else it is a textbook copy of how to debate in a godly manner. All in all a good, but challenging read and certainly not for the faint hearted! Got a question? No problem! Just click here to ask us about The Future Of Justification.